In both the built environment and the natural one, things move, change shape, crack, leak and suffer the ravages of time and weather. The process often starts before any signs are visible. Omnisens fiber optic distributed sensing systems, when used with an appropriate fiber optic sensing cable, provide accurate and complete information about actual infrastructure changes in real-time. They do this by monitoring strain and/or temperature evolution over time. 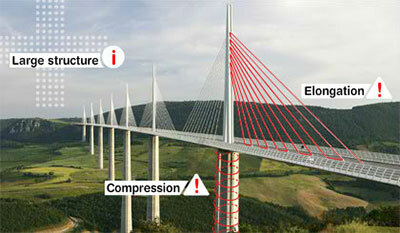 To monitor strain on a structure the optical fiber sensors must be coupled to the structure. Since each structure has a unique set of challenges for the application of the optical fiber sensor, Omnisens provides the interrogator but not the sensor. In most other applications, Omnisens can advise and/or supply a suitable sensing cable. ​Fiber optic monitoring of large infrastructures detects and locates developing damage in critical infrastructure such as bridges, dams, buildings, storage tanks. It can provide information about the structural health and monitor its long term evolution by measuring and mapping temperature and strain variations. ​Distributed strain and deformation measurement in large critical infrastructures such as bridges, tunnels, dams, nuclear plants, storage tanks. 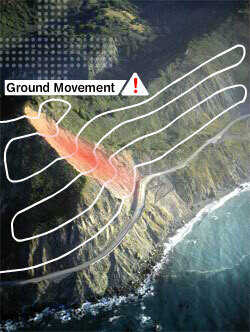 Early warning of ground movement and landslides provides the owner, operator or utility with time to take action to prevent subsequent failure and disruption. Omnisens monitoring system includes both temperature and ground movement detection for continuous, real time geotechnical monitoring over larger perhaps more inaccessible areas than conventional techniques, eg: tiltmeters. ​Omnisens solutions provides integrity monitoring for embankment dams and dykes through early detection of seepage and water level monitoring. 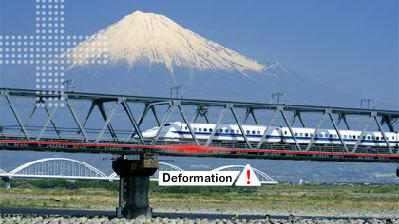 A small seepage, increasing over time may, cause a failure of the entire structure. The implementation of fiber optic-based monitoring provides temperature and/or strain information about the dyke with meter resolution over extended distances (a few to 100s of kilometers) and in remote areas. 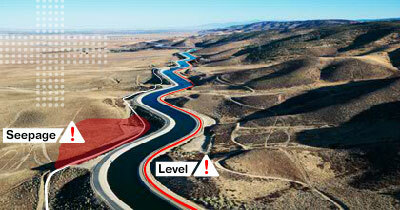 Omnisens monitoring solutions for geotechnical applications.